Andy Webber, CEO and President of the National Business Coalition on Health in Washington, DC, addressed a room full of Memphis employers and community leaders at Christian Brothers University on December 14,2010, on "Health Care Reform: The Uncertain Journey Forward"
Will employers choose to continue grandfather status for their health plans considering the restrictions on making plan changes in copays/deductibles, employee premium contributions? An informal poll of those attending the meeting showed that slightly more than 50% had already forgone grandfather status. Will employers, of all sizes, continue to offer health insurance once there are functioning & effective state health insurance exchanges? Cristie Upshaw Travis, Memphis Business Group on Health, provided an update on the planning for Tennessee's state health insurance exchange, noting that Tennessee will, most likely, establish it's own exchange (vs. join the Federal exchange) and will not define minimum essential coverage above the Federal standards. Options briefing papers are being prepared for incoming Governor Bill Haslam and key decisions will be made by February re: how best to move forward. MBGH is actively participating in the planning for Tennessee's health insurance exchange and will keep Memphis-area employers updated throughout the process. Health system reform includes health care delivery system reform and restructuring; value-based purchasing and payment reform; and improvements in population health. Will employers engage in Memphis-area opportunities to support and help shape local reforms to improve the health status of employees and the community and manage costs effectively? Memphis Business Group on Health is actively involved in a community-wide effort addressing payment reform, tracking the development of accountable care organizations, and evaluating opportunities for employer-based payment reform pilots. 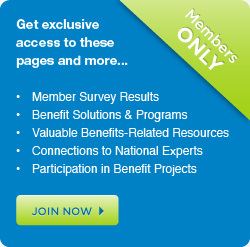 All Memphis-area employers can stay up-to-date on the latest in health reform news on MBGH's blog. MBGH members have access to a comprehensive Healthcare Reform Resource Center in the member's section of MBGH's website.